At Whisky & Alement, we regularly interact with some seriously special whisky. And while we hate to undervalue the breadwinners, the flagship and core range whiskies that get people started and keep them coming back for more, we’re not immune to the allure of the rare, obscure bottle. By frequenting distilleries around the world, befriending collectors, and trawling through auction sites, we’re able to offer up some of these limited whiskies to our Melbourne faithful. But when sourcing and purchasing these bottles, how do we ensure what we’re getting is the real McCoy? And where do we find the information necessary to unlock the stories and secrets these bottlings can reveal? Two whiskies we’re about to release offer some insight into the process. 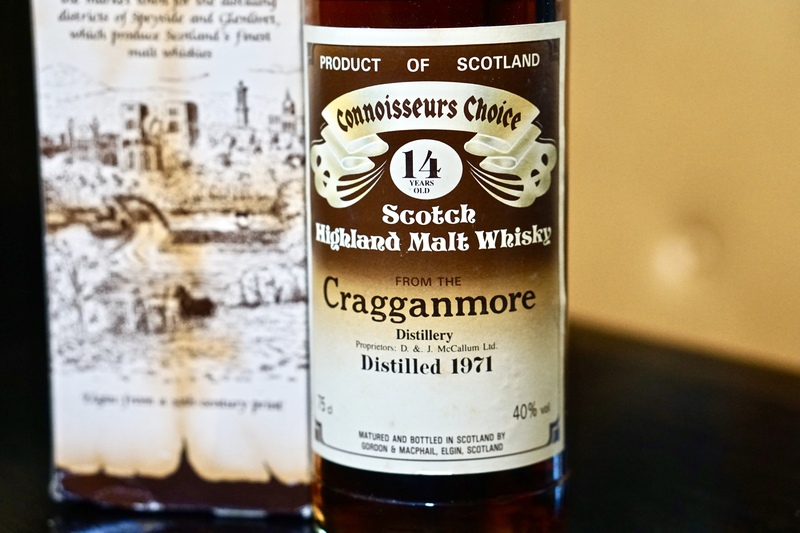 The first is a bottle of vintage Cragganmore distilled in 1971 and bottled by Gordon & MacPhail under their Connisseurs Choice range. When this whisky was first distilled, George Urquhart from Gordon & MacPhail (G&M) had only recently launched the Connoisseurs Choice range of single malt whiskies. It was an unprecedented move, promoting single malt at a time when most major whisky firms were wholly concentrated on selling blended Scotch whisky. These early G&M bottlings are now highly sought-after, and provide a rare glimpse into the character and style of numerous distilleries that wouldn’t be officially bottled for decades to come. 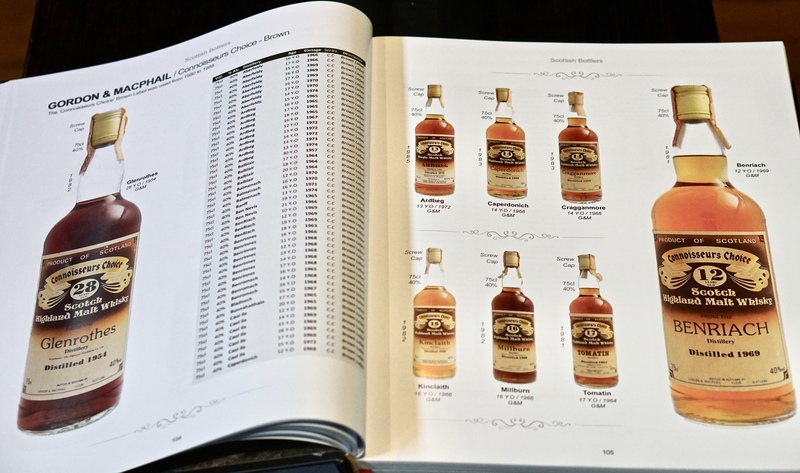 Owing to their rarity, it can be tricky to find accurate information on these whiskies. But there are now, thankfully, a growing number of resources out there to help with the task. 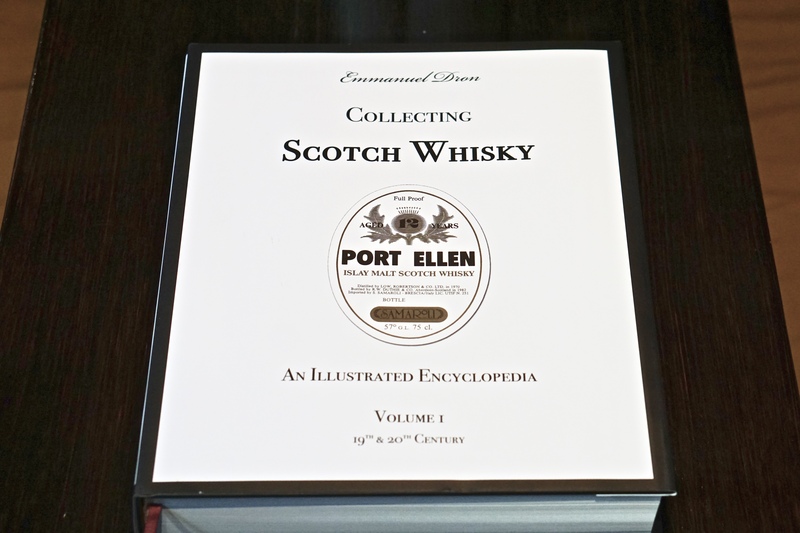 A great example is the recently published Collecting Scotch Whisky, An Illustrated Encyclopedia, Volume I 19th & 20th Century (an ominous title considering the depth of this tome!). 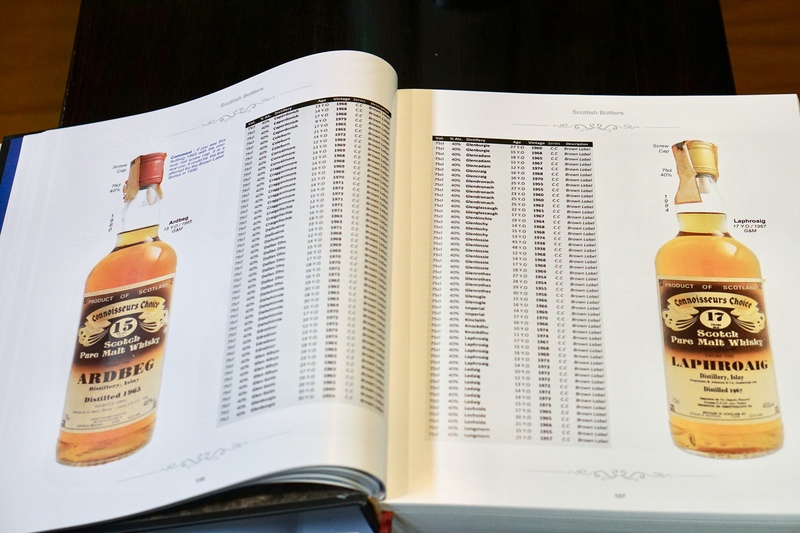 The book was written by Emmanuel Dron, owner of Singapore’s The Auld Alliance – a must visit for whisky fans – and is a brilliant tool for researching and authenticating obscure whiskies. Why are resources like this so important? 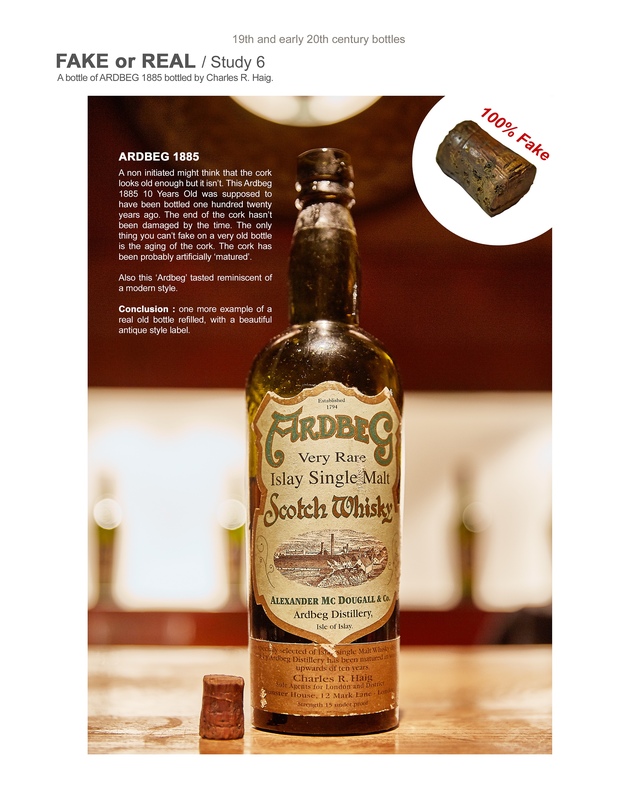 In recent decades, Scotch whisky has unfortunately fallen prey to forgers and fakers. The most infamous recent example occurred when Zhang Wei, a successful Chinese online writer, splashed out almost $14,000 Australian dollars for a 20ml pour of 1878 Macallan at a whisky bar in Switzerland. 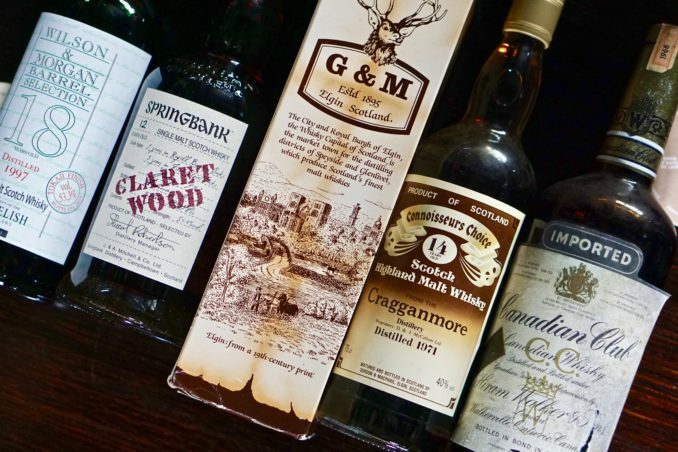 After concerns from a number of whisky collectors about the authenticity of the bottle, the contents were eventually tested by researchers at Oxford University and, sadly, confirmed to be blended whisky from the 1970s. This is one of the reasons Emmanuel Dron, one of the world’s most respected collectors, composed Collecting Scotch Whisky: to stamp out the dissemnation of fake whisky, and prevent enthusiasts from getting stung by forgeries. Another recently acquired bottling that sent us straight to the books was this vintage Canadian Club. At first, we were unsure when the contents were distilled and bottled. 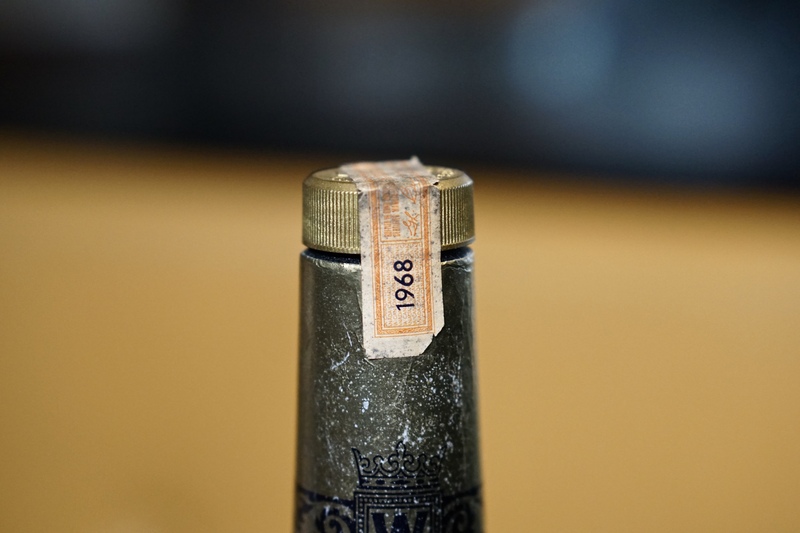 But after a search through documents released by the Canadian Revenue Agency, we were able to identify the provenance from tax stamps on the bottle. 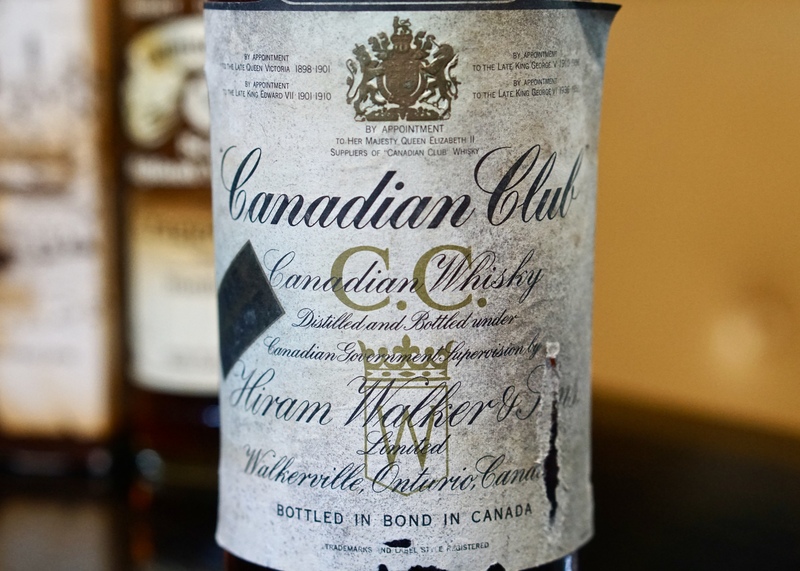 Government seals, or tax stamps, as they’re often referred to, confirmed that the youngest distillate in the batch was filled into cask in 1968 and then bottled, most probably, in the mid-1970s, as Canadian Club has long been a six year old whisky. 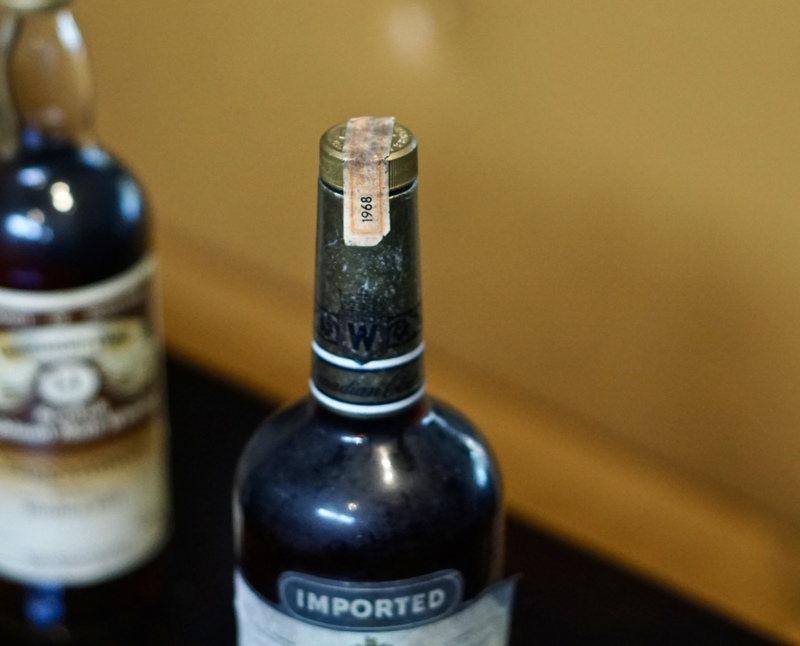 These seals are a brilliant aid for dating vintage bottles of whisky, and they have a well-documented history. For decades to follow, Canadian whisky makers used these certifications to market their whisky as superior to anything else on the market. For instance, when our Canadian Club was bottled, Canadian whisky was still the best-selling style in the United States – it was only overtaken by bourbon in 2010. We love vintage bottlings like these, as much for the stories and histories you can glean from them, as for the tasty liquid they contain. And for those interested in a taste, these two whiskies, and other gems like them, are now on pour as part of our special February menu.